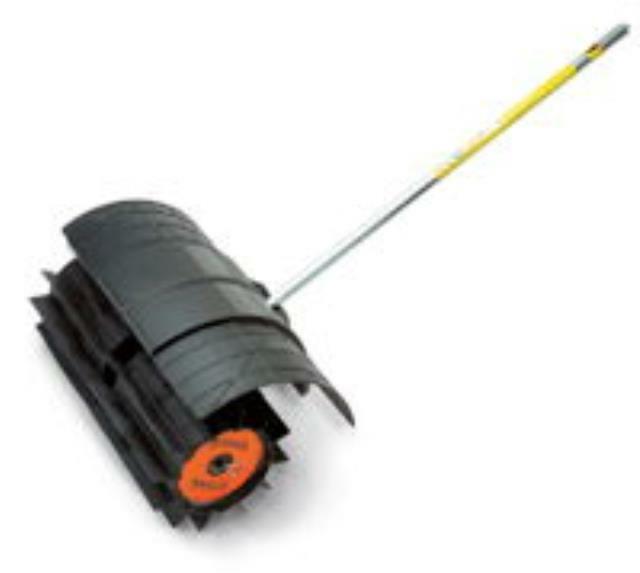 The STIHL PowerSweepTM attachment cleans up caked dirt along roads and sidewalks, moves pebbles and sand in turf, as well as water and light snow along flat surfaces. Now includes deflector. * Please call us with any questions about our weed sweeper attachment rubb rentals in Burnsville MN, Rosemount MN, Apple Valley, Minneapolis, St Paul, Twin Cities, South Metro,and Dakota County.